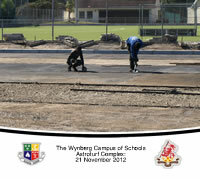 Wednesday 21 November 2012: Surface preparation continues with the mixture carefully poured into the surveyed 'lanes' to ensure a smooth, uniform finish. 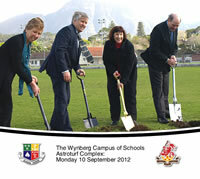 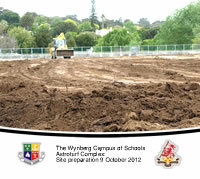 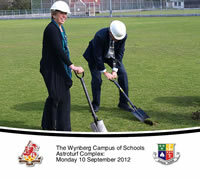 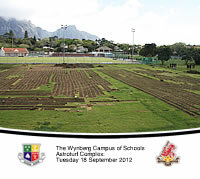 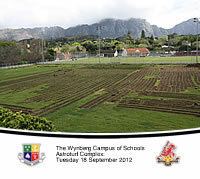 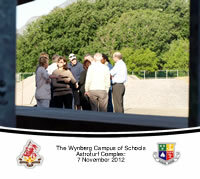 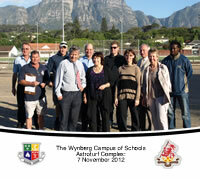 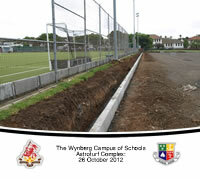 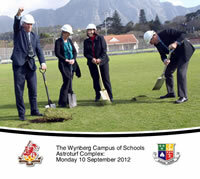 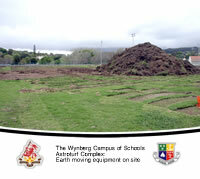 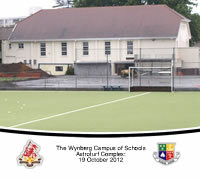 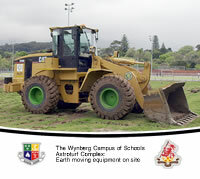 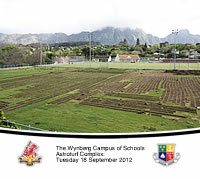 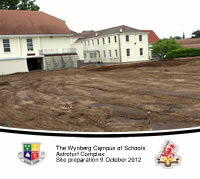 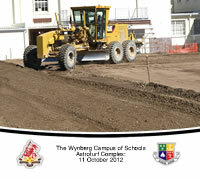 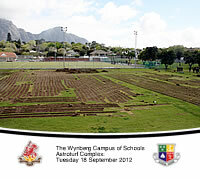 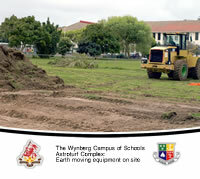 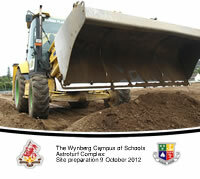 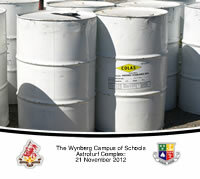 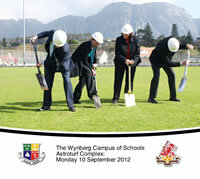 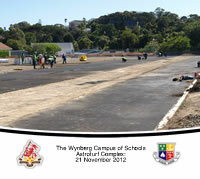 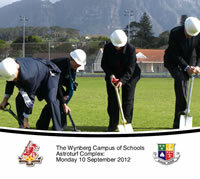 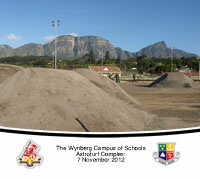 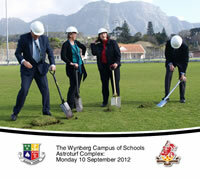 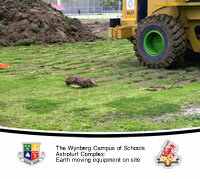 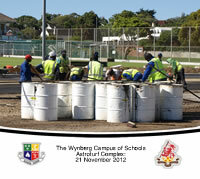 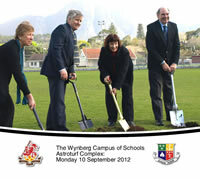 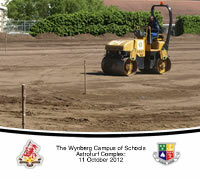 Wednesday 7 November 2012: As the US Presedential Election results are announced, the Heads of the four Wynberg Campus of Schools meet with the development team to update on the astrurf progress. 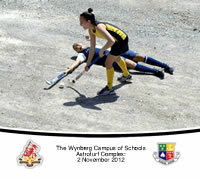 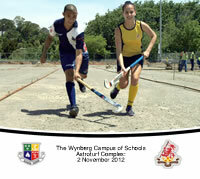 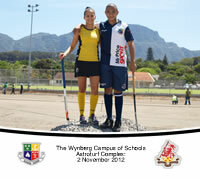 Friday 2 November 2012: 1st XI Captains 2012 - Micaela Diedericks (Wynberg Girls' High School) and Tertian Adams (Wynberg Boys' High School) become the first players to 'test out the surface' ... a little hard under foot at this stage! 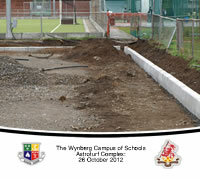 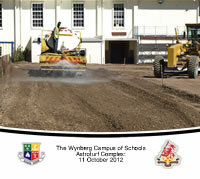 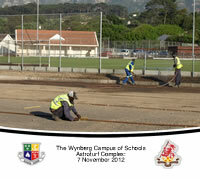 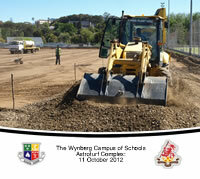 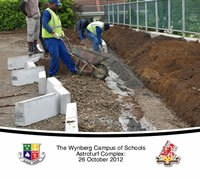 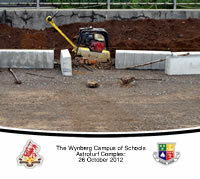 Friday 26 October 2012: Edging and foundations continue in the persistent gloomy and overcast weather. 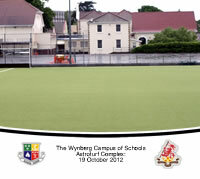 Friday 19 October 2012: 'Rain stops play' ... the rolled surface of the astro bed is a lake in the distance behind the current astroturf. 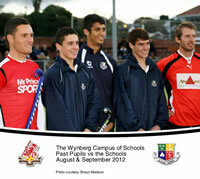 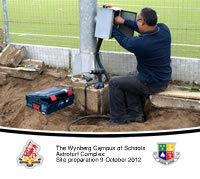 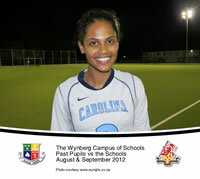 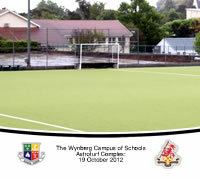 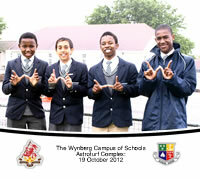 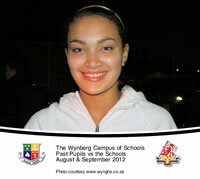 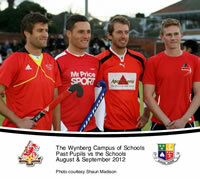 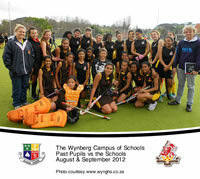 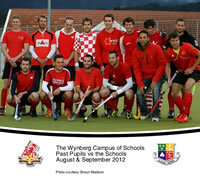 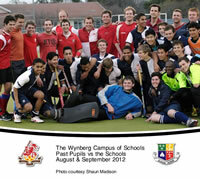 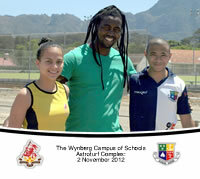 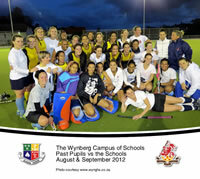 But the weather doesn't stop Wynberg Boys posing for the camera!